Lock in a great price for Hotel Santo – rated 8.1 by recent guests! Room was clean, bathroom big enough, breakfast OK. Internet was sometimes fast, but not too reliable. The owner is very kind, friendly and you can see he loves it. It was the best accommodation we had, very good experience. And the food in restaurant was great. Breakfast as for kings. I am sure we'll book this hotel also next time. Wery friendly staff. The owner, spoke english and german fluently. She was very helpfull at all time. Did some research about interesting sights on our behalff just as a favour as well as recomend some interesting day trips. Great place to stay in Melnik. The breakfast was very nice and the stuff incredibly helpful. We loved this hotel! The room was clean and beautiful and the staff was very nice! We will probably return! Thank you everything! 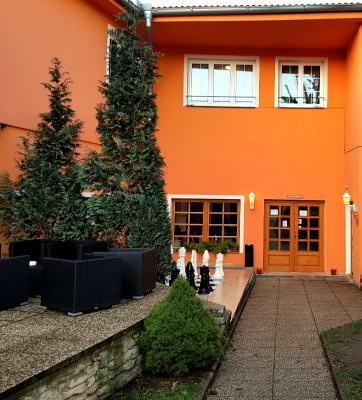 As long distance cyclists on our last stage into Prague this was a fantastic place to stay. We were welcomed with a drink and our bikes stored away safely. The room was clean, comfortable and quiet. We made good use of the spa section and got a wonderful massage. We also ate some great Asian food which was a surprise. The breakfast was also the best we have had. All in all with the friendliness of the staff we didn't want to leave! Wspaniała restauracja, cudowne jedzenie i przemiły właściciel sprawiają, żeby miejsce jest wyjątkowym celem podróży. Es war sehr ruhig , relativ sauber und die Betten waren bequem . 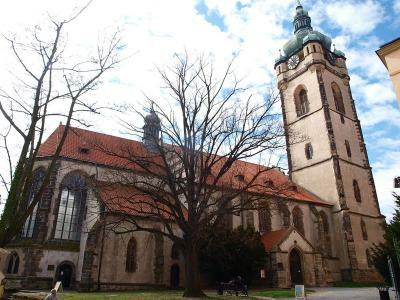 Hotel Santo is 1.1 mi away from the historical center of Mělnik. Prague is 23 mi away. Free WiFi is available in public areas. The rooms feature a TV and private bathroom with a shower. The hotel has its own Italian á la carte restaurant with a fireplace and a summer terrace. 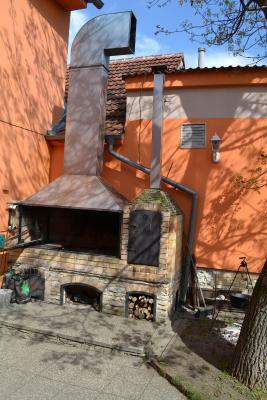 Barbecue facilities are also available. Garage and outdoor parking is possible on site for free. 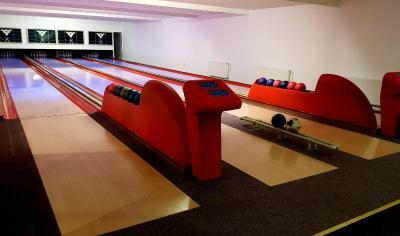 Guests can enjoy 1 hour of bowling each day at the property for free. An indoor/outdoor pool and a tennis court can be found within 0.6 mi from the hotel. The golf course in Brandys nad Labem is 19 mi away. The bus and train station are 2,950 feet from the hotel. The castles of Kokorin and Houska are 12 mi away. When would you like to stay at Hotel Santo? Features a TV, work desk and private bathroom. House Rules Hotel Santo takes special requests – add in the next step! Hotel Santo accepts these cards and reserves the right to temporarily hold an amount prior to arrival. Please inform Hotel Santo of your expected arrival time in advance. You can use the Special Requests box when booking, or contact the property directly using the contact details in your confirmation. The rooms: Very basic, they are very clean, but outdated and not really comfortable. Small, impossible placed TV, crap sofa and likewise closet. Rooms will be updated in the comming month, so next visit will be hopefully better. Breakfast: basic, with no choice, just a personal plate with some cheese and meat. This is a pitty.... as it is an easy option to increase value. Checkout: poor, no staff, just a non English person that collect key...... Wifi: in the bar/restaurant ok, in the room none.... Anyway, without the diner experience I would not recommend it, but exactly that diner made our stay completely worth it and we are sure that the rooms will follow that quality soon! We will be back! If you can't go wrong with german hotels, hell you can with czech ones. Small room, with two separate beds, very but very simple, cheaply arranged rooms. Budget hotel at it's finest level. You can see that the money was saved last to the last cent. TV was from 20 th century and the size of a peanut, but it didn't really matter, as it didn't work. Not even one photo/painnting/decoration in the room. I felt like in a hospital room.